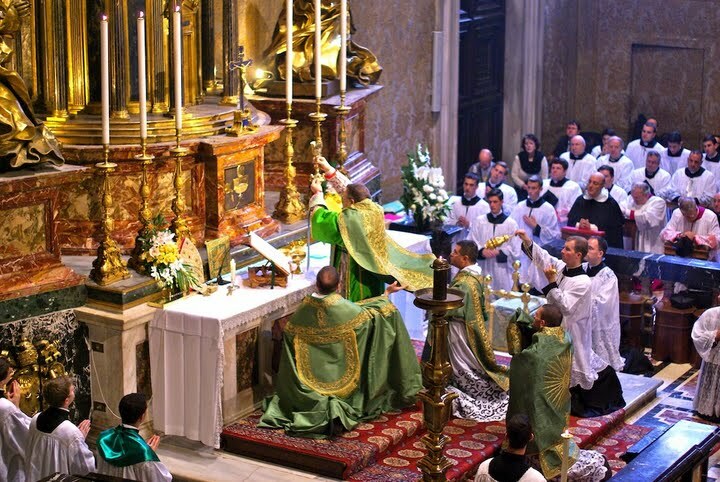 A while ago we mentioned that after the conferences of 2008 and 2009, the Italian Association Giovani e Tradizione (Youth and Tradition) and the Sodality Amicizia Sacerdotale Summorum Pontificum (Priestly Friends of Summorum Pontificum), are organising another convention on the motu proprio Summorum Pontificum in Rome at the Angelicum in May 2011, which will conclude with another Pontifical Mass according to the usus antiquior in St. Peter's, this time celebrated by H.Em. Antonio Cardinal Cañizares Llovera, Prefect of the Congregation for Divine Worship and the Discipline of the Sacraments, at the Altar of the Cathedra, on Sunday 15 May 2011. 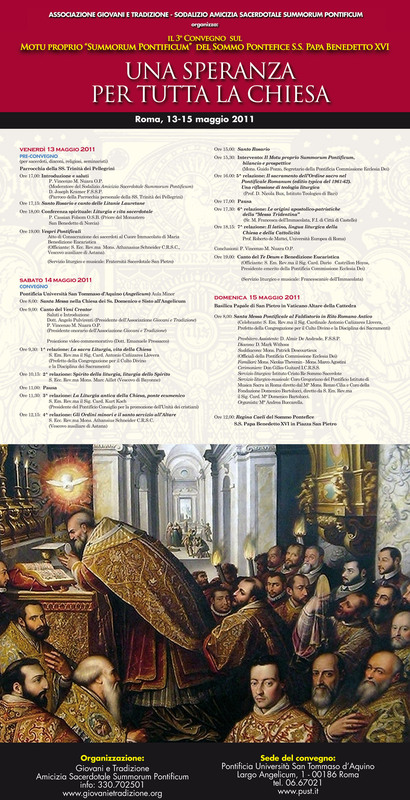 Giovani e Tradizione has now released the definitive programme for the convention: see here and here. Assistant Priest, Deacon and Subdeacon of the Mass will be officials of the Pontifical Commission Ecclesia Dei. The remaining liturgical service will be provided by the Institute of Christ the King Sovereign Priest, while one of the two choirs will be directed by Cardinal Domenico Bartolucci himself.